While John Scott‘s Free Thinking Radicals nights at The Stand have proved to be the monthly dose of stand-up comedy many crave many of us need, his former show Sod The Tories has been missed too. So it’s good news that this topical panel show returns for a one-off special on Monday 29th August. Hosted by Mr Scott as ever, he’s joined by some top North East comedians in the shape of Cal Halbert, John Whale, Si Beckwith and Joby Mageean. There’s various rounds to pull some wonderful jokes out of the four comics, and it’s a night which takes a hefty swing at all that seems wrong with the current would of politics and society in general. With lots to talk about, and an ever more apt title, you’ll not want to miss this one. 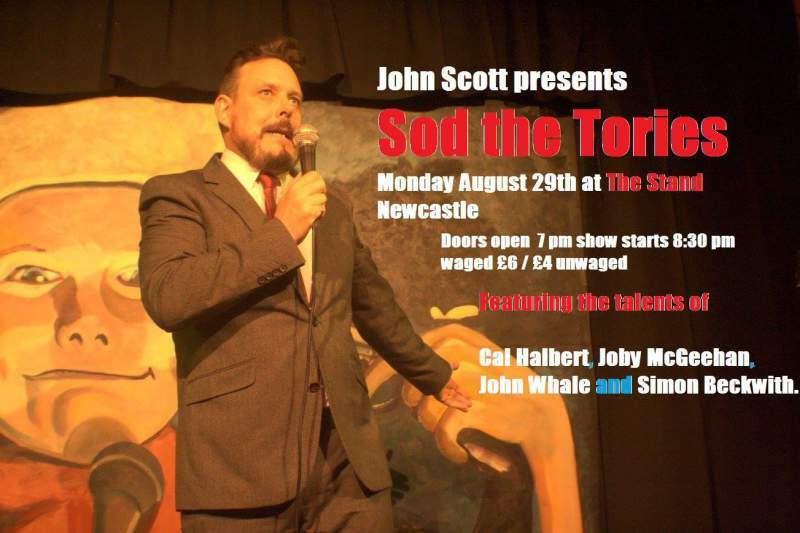 Sod The Tories is at The Stand, Newcastle on Monday 29th August.